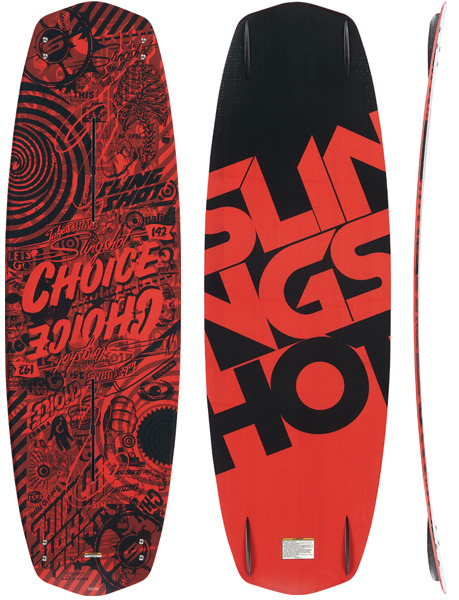 Modeled after our most popular board in the team series, the Choice is simple, effective and affordable. Its flex technology gives the choice a more lively feel than traditional construction boards, and also creates bigger pop and softer landing as the flex rebounds and creates lift off the wake. The continuous rocker pattern makes for an effortless ride and the elliptical concave throughout the tip and tail ensures effortless transitions from edge to edge. The choice is a great intro to flex technology and when paired with the choice boot, the package comes at an irresistible price.